Are you looking for something sophisticated and mysterious – the perfect place for upscale entertaining? 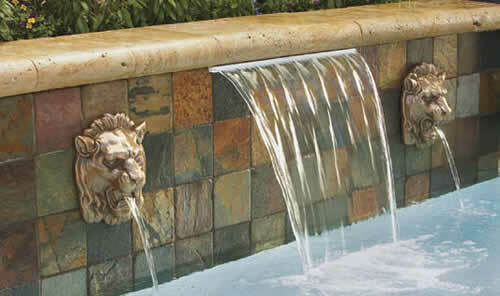 Or maybe you’d like to create a private tropical resort where your troubles melt away with the sound of cascading water? Water features can set the mood and tone to meet your needs and desires. Waterfalls, fountains, fiber optic lighting are just some of the ideas for enhancing your swimming pool and creating the perfect backyard escape. With digital controls, you can automate your water features to create dazzling displays whenever you choose. Enjoy an inground swimming pool that is good to you and good for the environment. Cool down that hot, summer pool. 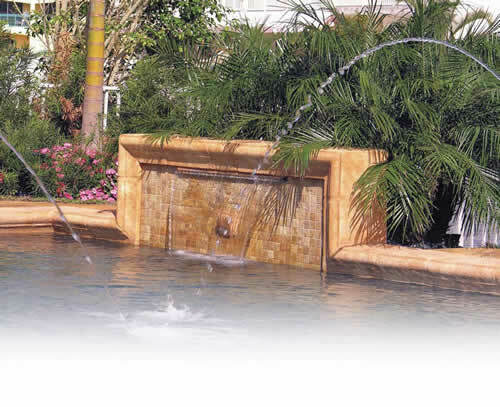 Jet water features can lower the pool water temperature 6 – 8 degrees overnight. What is a “green” pool? We do everything ourselves from start to finish. This is how we control quality and the amount of time we spend at your place.